You are here: Blue Haven > Blog > Swimming Pool Tips > Where to place your swimming pool? Where to place your swimming pool? So you’ve taken the plunge to invest in a new swimming pool for your home. But how do you figure out where the best position on your block of land is for your pool? Gone are the days of the quarter acre block – modern day Australian homes are getting smaller and smaller. Because of this, some homeowners aren’t spoiled for choice when it comes to where they should place their pool. Firstly you need to take into consideration the lay of the land. Properties with abundant natural light have always attracted a higher price premium and the same can be said for the outdoor layout. For example, a backyard swimming pool bathed in sunshine is more appealing than one that is in the shade. A swimming pool that has been designed so that it is sensitive to the climate can also help to reduce energy consumption and utility bills. Like outdoor entertaining areas and backyards, north facing swimming pools are generally more appealing. It’s also important to take into consideration any sloping land, underground pipes and rock. While you may be envisaging a cascading infinity pool, this design may not necessarily be suited to your completely level block of land. The same goes for those who are dreaming of a sprawling tropical oasis yet have less than a few square metres to work with. Before you set your heart on a particular design, it’s advisable to first assess the area to see which design it is better suited to slope of your backyard to determine if your space suits an above-ground, partial in-ground or in-ground pool. 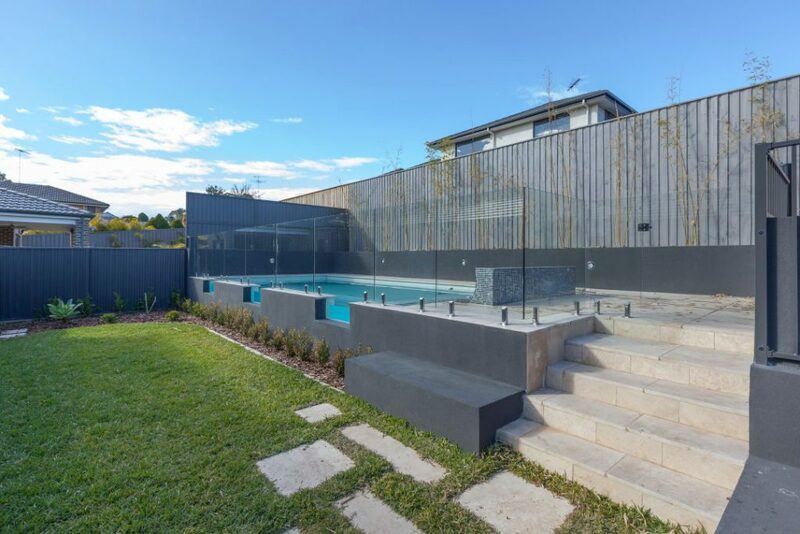 With smaller spaces the pool design is usually integrated with the design of the house so it is important the two areas blend seamless together. While design, shape and size are limited, a small pool area doesn’t have to mean it has less appeal. A larger space gives homeowners more flexibility in design and placement of the pool and allows for the freedom to make the swimming pool its own destination. No matter what the size, space, shape or slope of your block though, Blue Haven Pools have a design to suit your needs.